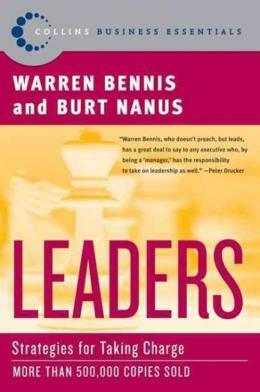 In this study of corporate America´s most critical issue - leadership - leadership guru Warren Bennis and his co-author Burt Nanus reveal the four key principles every manager should know - Attention Through Vision, Meaning Through Communication, Trust Through Positioning, and The Deployment of Self. In this age of ´process´, with downsizing and restructuring affecting many workplaces, companies have fallen trap to lack of communication and distrust, and vision and leadership are needed more than ever before. The wisdom and insight in ´Leaders´ addresses this need. It is a source of guidance all readers will appreciate, whether they´re running a small department or in charge of an entire corporation.